The gperf utility is tuned to quickly generate a perfect hash for small to medium datasets. But gperf has other applications, as well. In fact, it’s the tool of choice of maintaining perfect hashes for language keywords in GNU compilers, and recent advances allow you to work with larger datasets. So, consider making gperf part of your next development project. Wringing the value out of every processor cycle on your machine required a variety of approaches. Sure, your code has to be efficient, but you also have to have your disks configured correctly, and a multitude of other things. Swayam Prakash provides a guide to some of the lower hanging fruit you can pick. Performance optimization in Linux doesn’t always mean what we might think. It’s not just a matter of outright speed; sometimes it’s about tuning the system so that it fits into a small memory footprint. You’d be hard-pressed to find a programmer that does not want to make programs run faster, regardless of the platform. Linux programmers are no exception; some take an almost fanatical approach to the job of optimizing their code for performance. As hardware becomes faster, cheaper, and more plentiful, some argue that performance optimization is less critical–particularly people that try to enforce deadlines on software development. Note this this article is all about application optimization and not about server level optimization. How do I write a C program to connect MySQL database server? MySQL database does support C program API just like PHP or perl. The C API code is distributed with MySQL. It is included in the mysqlclient library and allows C programs to access a database. Many of the clients in the MySQL source distribution are written in C. If you are looking for examples that demonstrate how to use the C API, take a look at these clients. You can find these in the clients directory in the MySQL source distribution. How do I compile and link program against MySQL libs? MySQL comes with a special script called mysql_config. It provides you with useful information for compiling your MySQL client and connecting it to MySQL database server. You need to use following two options. Pass –libs option – Libraries and options required to link with the MySQL client library. Pass –cflags option – Compiler flags to find include files and critical compiler flags and defines used when compiling the libmysqlclient library. The GNU Compiler Collection (GCC) includes C, C++, Fortran and other programming languages. GCC was originally written by Richard Stallman in 1985. GCC is the only compiler you can find under wild verity of operating systems / hardware architectures (CPU). gcc gives us many useful options to make our code into whatever we like. By understanding what these options really do, we can make the program faster and slimmer. gcc (GNU C Compiler) is actually a collection of frontend tools that does compilation, assembly, and linking. The goal is to produce a ready-to-run executable in a format acceptable to the OS. For Linux, this is ELF (Executable and Linking Format) on x86 (32-bit and 64-bit). But do you know what some of the gcc parameters can do for you? If you’re looking for ways to optimize the resulted binary, prepare for a debugging session, or simply observe the steps gcc takes to turn your source code into an executable, getting familiar with these parameters is a must. So, please read on. This article describes the most important concepts related to the Linux kernel’s interrupt handling mechanisms. A clear understanding of the Linux kernel’s interrupt handling mechanism is essential if you are to write solid, reusable device interrupt handlers. 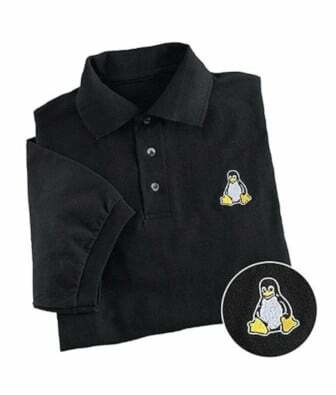 It is also mandatory if you are to successfully port Linux to custom hardware. Bill Gatliff provides a walkthrough of the portions of the Linux kernel that manage interrupts and describes how Linux interacts with interrupt controllers and how to adapt code for custom hardware. Interrupt handling is a fundamental part of the Linux kernel. Most of the kernel’s functionality, in particular the parts of interest to embedded developers, in some way involve interrupt handling. => Advanced UNIX Programming by Warren W Gay. Sams White Book – Provides the fundamentals of UNIX programming and easy to follow book for all new programmers/students. => Advanced Programming in the UNIX(R) Environment (2nd Edition) – The best book if you wanna be a UNIX guru. I am currently reading this book for my computer science UNIX programming class. I had to compile a 32-bit application using GNU gcc on the 64-bit version of Linux. The purpose of the make utility is to determine automatically which pieces of a large program need to be recompiled, and issue the commands to recompile them. To prepare to use make, you must write a file called the makefile that describes the relationships among files in your program, and the states the commands for updating each file. Sometime makefiles become so large, you need to debug them. This article helps you to get make to work for you, not against you i.e. debugging make and its makefiles. Make and utilities like it are fundamental tools for streamlining the application build process. Learn the structure of the makefile, how to avoid common mistakes in its creation, and how to solve or work around portability issues and other problems as they crop up. Most UNIX and Linux programs are built by running make. The make utility reads a file (generally named either “makefile” or “Makefile,” but hereafter merely referred to as “a makefile”) that contains instructions and performs various actions to build a program. In many build processes, the makefile is itself generated entirely by other software; for instance, the autoconf/automake programs are used to develop build routines. Other programs may ask you to directly edit a makefile, and of course, new development may require you to write one. Do you wonder how to write a program that accepts incoming messages with a network socket? Have you ever just wanted your own Web server to experiment and learn with? Have you ever wondered how a Web server actually works? Experiment with nweb — a simple Web server with only 200 lines of C source code. In this article, Nigel Griffiths provides a copy of this Web server and includes the source code as well. You can see exactly what it can and can’t do. Well, look no further — nweb is what you need. This is a simple Web server that has only 200 lines of C source code. It runs as a regular user and can’t run any server-side scripts or programs, so it can’t open up any special privileges or security holes.